If you didn’t get the opportunity to join us for Bricsys 2018 in London, then you’re in luck! Here’s a chance to catch up on some of the excitement. If you did make it, well, why not watch again and re-live Bricsys 2018, in London? Here at Bricsys, we’re excited about BIM. Want to know what all the fuss is about? 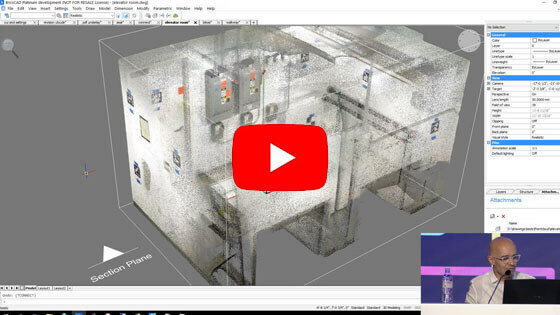 Then watch here as Kevin Settlemyre and Tjerk Gauderis show you how to go from zero, to fully modeled building, in under an hour during a live demo. If you think that Bricsys is just CAD, think again! Watch as Don Strimbu, Mathias Everaert, and Jurgen Schepers show you everything you need to know about Bricsys 24/7. Bricsys 24/7 is revolutionizing collaboration in throughout AEC world. This is a must-see for AutoCAD® users. If you think moving to BricsCAD is too hard, allow Robert Green and Heidi Hewett as they guide you step by step and show you just how straightforward it is to make the switch. It will be so effortless, you won’t even notice you’re not using AutoCAD® anymore. Did you know that Bricsys is a founding member of the Open Design Alliance? Neil Petterson explains how the ODA intends to ensure files and technologies remain relevant and usable over the coming decades. Catch it here. Welcome to V19! Blockify, PDF import, and nearest distance will speed up your workflow. Heidi Hewett and Hans De Backer show you all here. BricsCAD Mechanical is new for V19. 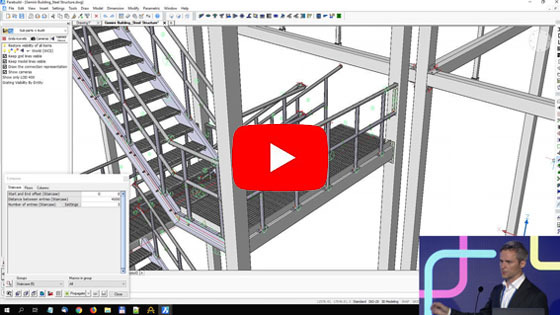 Join Dmitry Ushakov, Alexey Kazakov, and Christian Lecomte as they talk you through the key new features that will have you converting to BricsCAD Mechanical. If The Future of Mechanical whet your appetite, then follow it up with this talk. The formidable Mechanical team; Dmitry Ushakov, Alexey Kazakov, and Christian Lecomte, are joined by Maxim Shilovsky. They show you a more in-depth breakdown of BricsCAD Mechanical. Shivdeep Garud shows us how Mcdowell is redesigning the Singapore skyline, Michael Miklautz from AX3000 gives whistle-stop tour of BIM calculations, Rudy Joris from Parabuild demonstrates complex metal structures, and Allan Brito shows us how to make the most of the new .fbx file output using Blender. As we know all good things must come to an end, and so is that true for Bricsys 2018. Check out what Tjerk Gauderis and Eric De Keyser think Bricsys can bring to future of CAD. Ever since the Bricsys acquisition by Hexagon, one of the questions sales partners are asking is "How is it going to affect my BricsCAD selling business?" It is going to be business as usual for Bricsys sales partners. No changes, certainly nothing immediately. In fact, we have been told to continue selling BricsCAD as if nothing happened. We all know why this acquisition happened. "Hexagon wants to bring their strength of sales and marketing to Bricsys". This means increased sales and distribution network, especially in countries where Hexagon PPM already has significant presence. You can look at it as an opportunity or a threat. If you are already selling BricsCAD actively and have a loyal user-base with you, this is a great opportunity to do more with support from Hexagon. If you are an inactive reseller depending on passive sales, you probably need to change gears. Hexagon PPM's most visible CAD software current footprint is in the oil & gas and geo-spatial industry. They would clearly want to expand into the AEC space as well, to take Autodesk head-on, in BIM and other areas. As Rick Allen pointed out, "If you would like to grow with us together, we have a great opportunity for all Bricsys resellers". I am presuming that they will roll-out a model which is in line with how the major software vendors of the world operate, Bricsys did not. If you are expecting nothing to change going forward, this acquisition is probably not worth it. But I see an opportunity to do more, while embracing the positive changes that Hexagon is expected to bring in. For the moment, we have to wait to hear from the Hexagon-Bricsys team for the roadmap ahead. Pricing of the BricsCAD software post-Hexagon is another grey area, which sales partners have talked about a lot. This is again a tricky part. Many feel that BricsCAD is under-priced. I do not believe this can be answered with a Yes or No. It depends on the flavor of BricsCAD and also depends on the geography where you are trying to sell. In other words, it is a demand-and-supply, competition driven scenario. In India, most users find the price of BricsCAD Classic to be on the higher side, and I believe so as well. There is an ultra-huge lower-segment market that needs software at prices that are more competitive than the existing Classic pricing. While many users still buy Classic at the current price, even more do not and opt for other inferior alternatives, including Autodesk rentals. BricsCAD Pro and Platinum (now called BricsCAD Mechanical) are priced right or even have the opportunity to be priced upwards. Yet another new announcement made at the conference was that the subscription renewal prices are now going to be set at 30% of the new license price. This is a welcome move and removes the disparity that existed in the renewals of Classic vis-a-vis Pro vis-a-vis Platinum renewals. In this special edition of "BricsCAD® Unplugged” - which happened LIVE from London at the 2018 conference, we got to hear Bricsys CEO Erik de Keyser and Hexagon EVP Rick Allen share their thoughts on how the Hexagon acquisition of Bricsys happened. Starting off, Erik de Keyser said this was an exciting moment for them and they have been exploring options to scale up and grow for some time now. Finding Hexagon to acquire Bricsys did not happen overnight by chance - it was the culmination of a three year long technical association which saw Bricsys and Hexagon PPM programmers work together intensely to port the CADWorkx software to BricsCAD. To those of you new, CADWorkx is a leading CAD software for oil & gas industry and would only work on the AutoCAD platform earlier. After Hexagon found the strength of BricsCAD APIs, it decided to port the application on BricsCAD. This was an easy enough effort despite the fact that the entire code-base of CADWorkx is larger than the code-base of core BricsCAD itself. This was announced last year. Now, as we will learn from this interview, porting CADWorkx was just a benchmark undertaken by Hexagon PPM to know BricsCAD APIs and the Bricsys DNA intimately. 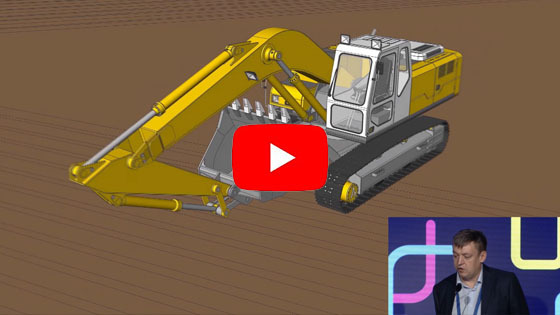 While porting CADWorkx was indeed a great success story for them, the real reason why they acquired Bricsys is because of BIM and the core BricsCAD product. In other words, Hexagon has its sights on the large pie of the AEC market where Autodesk rules the roost, and Hexagon wants to leverage their strength here. Admittedly, Bricsys does not have the sales and marketing muscle to push their product in big numbers across large corporations. This is an exercise that reqiures a large number of brand building activities, promotions and big badge events. This was the lacuna in the Bricsys DNA that needed to be addressed, sooner than later. Enter Hexagon, and both the CEOs find a match that is bigger than just CADWorkx. "Why don't we join hands together?" is what the two companies asked each other. In the 2017 conference in Paris, Erik de Keyser had hinted that we are growing at around 40% each year and if we continue to do so at the same pace, it is no good for us. This was a giveway that something significant was brewing on the back-burner. I was told on the side-lines of the conference that three serious attempts and discussions at different times but the final signing on the dotted line happened on the Friday evening before the conference. "We had the best technology and the product, but what we were missing was the scale to grow bigger", said Erik de Keyser. "The acquisition gives us both the best of both worlds". I have been talking to a lot of people: sales partners and Bricsys employees on the ground from the 2017 conference onwards and the underlying feeling was the unseen presence of Hexagon in all things Bricsys. In fact, rumors started to float from the Paris conference itself that the Hexagon shadow was probably already cast on Bricsys and it was only time for the big announcement. We came to the 2018 conference completely prepared to hear this and it was not a surprise. Hexagon EVP Rick Allen tells us that the primary reason they chose BricsCAD for CADWorkx is to give users a choice (other than AutoCAD) and when you extrapolate this forward, it makes sense to just go the whole way and acquire the complete platform, one that run the BIM engine as well as the 3D modeling and Sheet Metal. "The more we worked together, we realized that there is a much bigger opportunity than just CADWorkx", said Rick Allen. "We operate in multiple industries, mechanical, AEC, surveying, mapping & geo-spatial, and we realized that the BricsCAD platform was more than just a .dwg CAD platform", said Rick Allen. "We figured out this is a bets fit to glue in all our existing technologies and offer the best overall solution". "And, to top it all, there is Bricsys 24/7, which brings project collaboration to the table and we find this a very attractive idea to invest in. Hexagon brings sales and marketing to the table, and we find the cost proposition of BricsCAD very attractive to take this forward" - Rick Allen. On being asked for his thoughts on whether he made the right choice, Rick Allen joked that he woke up on Saturday morning (the deal was signed Friday evening) and wondered whether he made the right choice in signing up with Bricsys. "Now, after this conference, I am completely convinced", he signs off. The best thing about the Hexagon acquisition of Bricsys is that both the companies are super-excited about the deal - for its technical strengths and the opportunities ahead. Rick Allen joked that he dreamed about the twisted tower (the signature demo model used during this conference's AEC workflow) last night and was imagining how the structure could be analyzed using CADWorkx and structurally checked using GTStrudl, which he called as the Gold Standard of Structural Analysis. Further, he also would envision how the same could be analyzed using Caesar II, a leading Pipe Stress Analysis software, also from Hexagon. In conclusion, Rick Allen says this journey started in 2015 and is not over yet. Erik de Keyser could not agree more and says this is just a milestone, and there are miles to go and many new exciting things ahead to be discovered. We are back in Bengaluru after attending the Bricsys 2018 Conference in London, which happened on October 23 and 24. The main highlight of this conference was the announcement that Bricsys has been acquired by Swedish company Hexagon, and this makes BricsCAD a brand that is now owned by a 3.5bn USD/year revenue technology giant company. Some serious upscale alliance, this is a huge endorsement of the the BricsCAD brand! This is a huge leap ahead for Bricsys, until now a tiny company with revenue of 13mn Euros / year that took the .dwg world by storm and emerged as the only viable CAD design platform that was not just compatible to AutoCAD, but much better, superior, stable and state-of-the-art. In its journey, BricsCAD not only went beyond 2D drafting, but also made serious inroads into technologies like BIM, Sheet Metal, 3D Direct Modeling, 3D Data Exchange, engineering data collaboration and cloud integration, to name a few. The success of this journey by Bricsys also spelt success to the huge eco-system of third-party developers that found their product sales rising year-on-year, when BricsCAD became the only reliable .dwg CAD platform (other than AutoCAD), where programmers could port their Lisp. .NET or C++ ARX applications with minimum effort and maximum compatibility. And today, gradually, AutoCAD users of these products are slowing moving over to BricsCAD, and why? Because of the +++ of BricsCAD and the --- of AutoCAD which only grew every year. I have many stories, opinions and technical analysis to share, and I start with this post where I attach 8 PDF files which capture the essence of what this conference was all about. Please feel free to share this among your friends, colleagues and other in the organization you work in. You will read about the new features in V19 as well as some of the best narration about the happenings on the two days of the conference. Please be aware that BricsCAD V19 is not yet available on the web-site and the official global launch is happening on November 12, 2018. If you are on subscription, you will get V19 automatically. If you are not on subscription, now is perhaps the best time to buy a subscription / upgrade. Contact us NOW to find out the best deals! We are giving you enough time to do value picking at the current price points! BricsCAD V19 : What's New in Core Features? We are the Bricsys 2018 International Conference and get to see the brand-new V19 version of BricsCAD. This post summarizes all that is new in the core version of BricsCAD V19. And that is really great news for V19. I think this single reason can be one justification for many people to jump over and buy a copy of BricsCAD. Microstation DGN: The Microstation DGN format is an open, published format for CAD data and is perhaps the second most popular legacy format after DXF-DWG. Software like AutoCAD Map and others could import it from a long time. BricsCAD would not unless you had an add-on software. That is history now. Native BricsCAD can import your DGN files in V19. This should be music to a large number of users in defense, government, P&ID, railway, mapping and surveying industries which are some of the traditional users of DGN file. Thank you Bricsys for hearing us out!! Autodesk FBX: This is the native format for a bunch of fast-growing 3D visualization and Virtual Reality software like 3DS Max, Maya, Blender, Unreal VR, Unity VR and so on. If you work with downstream VIZ and VR systems, you will realize how important it is to be able to easily transport CAD data to these systems. With Virtual Reality now being touted as the must-have cure for every real-life visualization, the FBX export capability comes as a god-send gift on the CAD platform. Clearly, BricsCAD can boast to be the only CAD platform in its price range that can export FBX. Clip point clouds (using sectionplanes) - very important to extract only the data you need. The imported raw cloud data is stored in an internal BPT format which is optimized for performance. You can now import a Revit Family file (.RFA) from within BricsCAD. Any power user of BricsCAD knows that the SETTINGS is most important to make BricsCAD work the way you want. A bunch of cool new investigative and informative tools have been added here. I must say that these are not small improvements. They make a huge difference in problem solving when you discover that something works perfectly in one drawing while it does not in another. Countless support hours and wasted operator time has gone down the drain trying to figure out that elusive system variable and its even more elusive setting that was the culprit. Now, it is a breeze. Both end-users and support staff are going to love this. This is a great trouble-shooting tool, to help save precious time. V19 introduces the concept of an adaptive snap step size. The display of the grid density is adapted according to the current screen zoom factor, as is the snap resolution. To activate the adaptive snap step, set SNAPTYPE == 2. Adaptive snap step is also used by the V19 Manipulator Ruler and the V19 NUDGE functionality. This has been one of the frequently asked questions by BricsCAD user world-wide. The BEDIT command allows bloc definitions to be edited directly. BricsCAD V19 now offers a new block editor. Launch it with the BEDIT command or by double-clicking on the block you want to edit. When using the block editor, BricsCAD displays the blocks' entities in a temporary drawing session, using the local coordinate system of the block. BEDIT supports all the tools you need to create and edit a block definition. To exit a BEDIT session, use the BCLOSE command and choose to save or discard changes. If you invoke the SAVE tool while in a BEDIT session, BricsCAD will save the changes to the block definition and exit the block editor. The new BEDIT command complements the existing REFEDIT command to allow complete control of block definitions and instances. This is from the stables of Tjerk Gauderis, the Head of Artificial Intelligence and Machine Learning at Bricsys. The new BLOCKIFY is a pattern recognition command that uses machine intelligence to find repeated geometry and replaces it with a single BLOCK references & multiple instances. This can dramatically reduce drawing size, both on disk and in memory. It can also give a significant boost in draw, ZOOM, OPEN and SAVE performance. After starting BLOCKIFY, you can select a set of 2D entities to search for, or a single complex 3D solid to find. Select nothing, and BLOCKIFY will look for repeated, identical 3D solids. Next, you can select the entities to search through. By default, the entire drawing is searched for matching entities. Mixed input of 2D and 3D entities or blocks is not yet supported. RR view: This is a cleanup solution to the indiscriminate Copy-Paste that drafters resort to in drawings to repeatedly place the same geometry in multiple places. This also resulted in bleoated drawings and would be a nightmare to perform quantity computation on drawings as well. The BLOCKIFY command will now make it easier to create optimized size-efficient drawings that will also lend itself easier to quantity computation. I ran a quick test on my BETA version and created a block named 'BLOCK 1' from the repeated geometry as seen in this screen grab. You can select either 3d Solids or 2d curves in your selection. It is not possible to mix them or have any other objects like text etc. As the next step, I would like BricsCAD to ask me to name this block and provide a simple statistic of how many patterns were found and converted into blocks. It would also be nice to have the BLOCKIFY command recognize text objects and convert them into attributed blocks where possible. This would be really nice because, most often, we find users struggling with blocks containing attributes which have been exploded and the attributes converted to text. Re-assembling them back is a nightmare user have to grapple with and BLOCKIFY would come in handy. A nice beginning and more to come. The command-line is a vital life-line of visible information, especially for the old generation CAD users. But, not every time and for not every one. Now there is a new setting called CLIPROMPTLINES which controls the number of fading log lines. If the command line panel is not visible, the last few command line entries are momentarily displayed at the bottom of the main graphics window each time a command is entered. CLIPROMPTLINES sets the number of lines to display (set to zero to disable the feature). The new DIM complex lets you use a single command to create multiple dimension types. You can dimension multiple entities without having to re-launch the command. BricsCAD automatically applies an appropriate dimension, based on the type of entity you select (e.g.,if you select a linear entity, BricsCAD will create a linear dimension). Select an arc, and you can create radial, diameter, or angular dimensions You can quickly convert existing linear or angular dimensions to continuous or baseline types. You can select and dimension sub-entities, and you can now dimension through layout viewports. DIMENSION and TEXT Style controls now act upon the active selection set. This is a killer new feature. Until now, you could just attach an Excel file as an OLE link and it would inherit and display all formatting and presentation as set in Excel, there was no way you could control the presentation in BricsCAD. And printing output was always governed by how Excel saw the file. Not any more. A new DATALINK command allows you to not only display the spreadsheet as a native BricsCAD table, but can also import the formula and formatting (optionally) while alllowing you to change stiff from the CAD side also. And all of this while you s[readhseet data satys live and allows bi-directional editing to be updated dynamically. I have spoken to dozens of companies working heavily with Excel data and this can be one single reason they will make the up-shift and move to BricsCAD V19. to be Imports an Excel sheet data range into a Table and preserves the link to the spreadsheet. You can copy/paste a range of cells from a table to Excel, and vice versa. When two (sub)entities are selected, a dynamic dimension now shows the nearest distance between the two items. There's no need to start the DISTANCE command. And there's more - modify the distance value and the last selected entity will be moved accordingly. It works on sub-entities also: select two parallel segments of a rectangle (using CTRL and LeftMouseButton click) and enter the desired width, and it changes. New command CONVTOSURFACE converts following entity types to 3D surfaces: 2D solids, 3D solids, regions, zero-width open polylines with thickness, lines and arcs with thickness, meshes and planar 3D faces. On similar lines, new commands CONVTOSOLID & CONVTOMESH also is available and does the required conversion. What’s New for Developers in BricsCAD V19? A Huge Lot of new features and fixes! One of the reasons for BricsCAD’s huge success is the extremely high-level of API compatibility it provides with AutoCAD. That is just the beginning, now the API support and extensions in BricsCAD are so comprehensive that virtually anything and every new feature of BricsCAD core native functions also is customizable, down to the last T.
The marquee new feature in BricsCAD API is the BLADE IDE. BLADE stands for BricsCAD Lisp Advanced Development Environment. While other vendors are neglecting Lisp in favor of .NET, C++ and so on, BricsCAD is taking Lisp as well to new heights. BALDE was introduced in the life-cycle of V18 but a slew of new features and handy tools for the programmer have enhanced it significantly in V19. when BLADE was running parallel - switching back to OpenDCL dialogs could trigger a lockup. Debugging : system variables can now serve as breakpoint, including conditions, as for all the other "data breakpoints"
BRX: OdEdJig: calls to AcEdJig::drag() or AcEdJig::sampler() now return kOther when update() returned kFalse. BRX: Status bar panes added by BRX were a few pixels too wide, and text label was too close to the left edge. BRX: Status bar item icon and visibility state could not be changed after the item was added to the status bar. BRX: Adjusted entity + selectionset dragging operations, to better match ARX logic and event sequence. BRX: Subentity traits in custom grip draw function is now re-initialized before each grip is drawn. BRX: acedUnloadPartialMenu() returned false when using relative paths for loading and unloading .cuix files. BRX: Return value eGetNewGripPoints from a custom grip handler now causes grips for the entity to be refreshed. BRX: Plot engine failed when NULL plot progress handler was passed to AcPlPlotEngine::beginPlot(). BRX: Added support for "BOX" (aka "B") selection mode in acedSSGet(). BRX: AcDb3dSolid::cleanBody() could empty a body originating from stitching surfaces - it shouldn't. BRX: Applied performance improvements for odutWcMatch(). BRX: AcDbMPolygon closing vertex is now preserved when provided. BRX: When calling AcDbDatabase::wblock() within a transaction, objects in the source database could be left open kForNotify until the transaction was closed. BRX/TX: Excessive modeless operation notifications were fired. BRX: Calling setDynamicDimension(true) on hover grip dimensions now creates a dynamic dimension. BRX: Fixed a crash when attaching the VS 2017 native and managed debuggers to a running BricsCAD process. BRX: Newly set icon on BRX pane could shift to top left corner of status bar. CMDECHO: MVIEW/Polygonal option: initial start point message was not suppressed by CMDECHO=0, when running from application code. COM: Implemented OdOxGetMaterial() and OdOxPutMaterial(). CUI: When a 3dSolid was BIM classified (as wall, slab,...) double-click action no longer worked. A BIM entity type name can be specified in the Cui (however not yet available in UI) and it will override the native entity type name. CUI: Added the Quad button's menugroup name to its icon name in MENUGROUP[ICON PATH] format in order to support usage of relative paths through the LargeImage and SmallImage CUI items. DCL: DCL LISTBOX: Having selected a list_box item, when pressing Enter, the callback reason, returned in the $reason variable, was 1 instead of 4. GRADIENT HATCH: Gradient hatches of which the colors were not explicitly set by OdDbHatch::setGradientColors() could not be rendered. LISP: (repeat) function didn't return an error when used with a non-integer argument. LISP: vla-GetBoundingBox for tolerance entities returned incorrect results in case negative X coordinates were involved. LISP/SDS/BRX: entmake function behaved incompatible when DXF 67 and 410 (and combinations) were involved. LISP: Improved support for field expressions for table cells. LISP: CETRANSPARENCY system variable was handled as string, but must be processed as integer. LISP: (load "name.vlx") and (load "name.fas") are now processed as (load "name"), which automatically searches for .des and .lsp files, resulting in improved compatibility with existing Lisp applications. LISP: Improved (if ...) function to detect the case when more than 2 code blocks are provided in then/else branch. LISP: Added vlo_VL::audit() to audit/recover Lisp VLAX-LData custom objects. LISP/BRX/NET: Corrected Lisp representation of resbuf sequences, created by BRX or NET, containing invalid "dotted pair" definitions. LISP/SDS/BRX: improved compatibilty of (entdel) / sds_entdel() by not erasing sub-entities, or entities inside a BlockDefinition. LISP: (load) function: error messages contained a filename spelling defect. LISP: Improved compatibility of return value of (sssetfirst nil). LISP/SDS/BRXentget() was improved to return NIL for 3dSolid, Region and Surface if the underlying ACIS object is empty. LISP: Improved performance and reduced memory consumption of (vl-remove), (vl-remove-if), (vl-remove-if-not). LISP: Improved error detection at load-time, for improper (defun ...) statements. LISP: vla-GetBoundingBox returned incorrect result for tolerance entities with negative X coordinates. LISP + COM: Fixed (vla-getremotefile) to download to a normal temporary file. Failed before if the URL contained characters not being allowed for a disk filename. LISP/SDS/BRX: Attaching XData to 3dSolid using entget/entmod sequence could fail. LOGFILE: Log file timestamp had shifted time. MENUECHO: 'Save' attribute of the MENUECHO variable has been changed to "Not saved". .NET: Setting a jig input prompt containing keywords from within Jig.Sampler() did not display a command prompt menu. .NET: Adding database events could cause intermittent database problems such as failure of dimensions to update after dimension variable changes. .NET: A custom tooltip added via input monitor now displays even when a command is active, matching the changed behavior in ARX 2018. .NET: Aligned dimensions failed to update properly when database events or object overrules were active. .NET: The DwgVersion enumeration did not include values for the DWG 2018 format. .NET: Implemented HostApplicationServices.UserRegistryProductRootKey and HostApplicationServices.MachineRegistryProductRootKey properties. .NET: GraphicsInterface.EdgeData constructor has been made public to enable direct construction. .NET: MaterialMapper property is now supported. .NET: SetSubentColor() method returned "eKeyNotFound" exception for a SubDMesh object type. RIBBON: Added support to automatically take all the properties from a specific MenuMacroID if properties are not overridden. TRIM command: Improved compatibility for TRIM operations on custom entities. TX: BricsCAD specific API to get Model Space entity by point in VIEWBASE or BIMSECTIONUPDATE generated layout - API\bricscad\od_assoc_views.h. UCS: Entities on locked layers could not be used to define a UCS 'by entity'. UNDO: UNDO command now respects CMDECHO=0/1 setting to suppress prompts. BricsCAD V19: What's New in BIM? BricsCAD V19 has been a much-anticipated release and new the BIM features is one of its flagship highlights. The BIM in BricsCAD has been significantly enhanced not just in feature-set but also in data inter-operability. BricsCAD BIM V19 takes a huge leap forward in its ability to read and write Revit files. 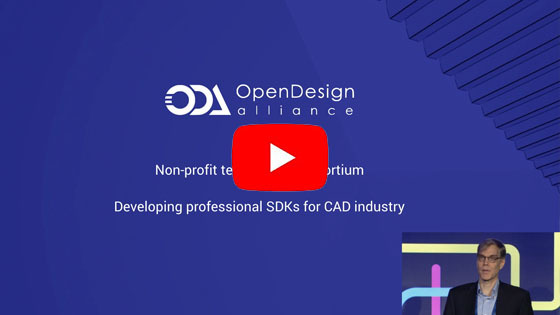 We have been reading news in the last 12 months about the progress Open Design Alliance has made in Revit libraries and now you can see the results which the BIM end-user can enjoy. The Revit .RFA and .RVT files are now within the ambit of BricsCAD V19 and users need not worry about having to figure out how to deal with incoming Revit data. On the other side, a number of productivity tools have been added in BricsCAD BIM that makes it easier to convert existing CAD entities to BIM-aware data. The BIMDRAG command now has the same behavior when selecting any 3d solid face: it moves the solid. Use DMPUSHPULL for moving the face of a solid independently. The new NUMBER command in V19 can also crate sequential number tags for BIM entities. The new TCONNECT command now allows one face to connect to nearest of another selected. The BIMCURTAINWALL command creates a curtain wall from freeform surfaces. Using BMINSERT, you can now bring in Revit RFA data as BIM components. SITE Import or create terrain models, from a points file, drawing entities or an AutoCAD(R) Civil3D surface. You can modify the terrain by adding/removing boundaries, break-lines, and points. As AEC and BIM designers integrate terrain data into their designs, this is a welcome feature that will find use with the BIM and AEC community. GRADING Tools: Shape the terrain for a building site using grading tools. You can model building pads, retaining walls, parking lots, streets, etc. A lot of third-party tools for Civil Design is not needed any more as BricsCAD brings most of the commonly required tools within its BIM feature-set. ….. and this feature makes BricsCAD at par with other tools like Sketchup, Revit etc. In other words, BricsCAD is seriously adding content that is required by users to finish and annotate their drawings – something that was missing or lacking until now. RR: This is a welcome addition to BricsCAD that will improve the face value and productivity of BricsCAD as a design completion tool. BIMCREATECOMPONENT: Create a component from a selection set or drawing and add the component to the library. GUI Re-designed user interface with large icon toolbar and tabbed dock panels (like the BricsCAD Shape UI). The Profiles and Composition panels have been re-designed to match the new Shape UI. BIMSCHEDULE: Quantify and analyze the building elements used in a BIM model. Schedules can be added to sheets and updated from the 3D model. REFLECTED CEILING PLAN 2D section showing items located on the ceiling of a room or space. PARAMETRIZE: Automatic addition of constraints and parameters to pure geometric models. Yet AI / another machine learning based effort. QUICKDRAW: A full 3D conceptual design tool for rooms, floor plates and storeys of a building. Features the Magneto cursor. It's amazing. BIMCOPY A copy command that operates identically to BIMDRAG. Hover over a face, and the copy will be placed along the normal of that face. BIMRECALCULATEAXIS: Recalculates the axis of the structural elements back to its centroid. Grip-Stretching on linear building elements Upon selecting a linear building element, grips are available to perform the same grip-stretch operations as you can for line entities. Quarter-turn intelligence on connected structural/MEP elements If a connected structural element is rotated 90° around its axis, the connection is (optionally) restored. Grid Create rectangular and radial grid with automatic labels. Grid curves and labels are generated on 2D drawings by BIMSECTIONUPDATE. BIMWINDOWCREATE: In addition to predefined subdivisions, a grid can now be used to define the subdivisions of a window. - Centerline Rooms can now be calculated on the centerline of walls, curtain walls and columns. This can be configured for each of the bounding elements individually. - BIMROOM: An icon at the cursor now indicates whether a room can be created on the cursor position, and if not, a tooltip explains why it's not possible. We love machine intelligence. BIMSETREFERENCEFACE: Allows you to select a reference and an opposing face to control ply layout. If the composition has a variable thickness, the reference and opposing face can be non-parallel. In this case the fixed thickness plies are set out starting from each reference face, and the remainder of the solid (which does not have a variable thickness) is filled by the variable ply. The Components Panel - BricsCAD BIM V19 – What’s New? The Components panel in BricsCAD V19 BIM is cool. It allows you to insert pre-defined ready-made industry-specific symbols and annotations that is so important to complete a drawing document and enable the last mile touch of completeness. Hexagon's strategy is to acquire companies that offer them complementary capabilities and reach into markets and industry segments and this acquisition is to groom and build the BricsCAD brand to new heights. Our understanding and assurance is that the existing team will continue to work and build on the BricsCAD brand while new initiatives and roadmap from Hexagon will help the product scale new heights and reach better visibility and scale. Bricsys 2018 Conference has kicked off with the milestone news - Hexagon has acquired the Bricsys. Hexagon is a large public limited Swedish company that owns some of the industry leading companies like Intergraph, VERO and many more. I am here today in London for the Bricsys Conference 2018 which promises to be two full fun-filled day of awe-inspiring BricsCAD presentations and after parties. The first part of the conference is a Sales Partners Only session in the forenoon and the public conference begins at 12:00 noon today. BricsCAD V19 is gong to be shown and announced to the world today in the presence of a gathering of over 500+ people including CAD pundits, media, journalists and sales-development partners. You may follow the conference on my blog https://rakeshrao.typepad.com and on twitter as well. My twitter handle is @rakesh_rao. Bricsys in India, represented by DesignSense has had a long partnership with DailyCADCAM.com. It is with pleasure that I announce them as the official partner in India once again for the Bricsys International Conference 2018 which takes place in London on October 23 and 24, 2018. I will be there at the event covering it live. With just over 3 days for the conference to start, I am almost there at the venue. The event can be followed live (well, almost live!) on this blog as well as the social media channels of DailyCADCAM.com. I am in Mumbai today as part of a long week long reconnect trip with some of our most loyal and long-term users of BricsCAD in the state of Maharashtra, India. On Monday, October 22, I leave from here to London for the 2018 Edition of the Bricsys User Conference which promises to be one of the most exciting ever in terms of content, build-up and expectations. Look forward to seeing some of the greatest innovative new features in V19 and some big ticket news announcements. At Bricsys, folks are racing against time to make this event a memorable one, in terms of scale, content and entertainment. I reproduce some of the content from the most recent Bricsys blog post. If you are still un-decided and want to join the greatest .dwg CAD extravaganza, sign-up now and join. Tickets are still available, just click here to sign up for the conference. 12:00 We kick things off with the grand opening session. An introduction to some of our key new features, a demonstration of the future of .dwg, and our new and improved workflow. 13:00 Stop for lunch. There will be plenty of opportunity to meet our application developers from around the world. Ask questions and test out the different possibilities available to BricsCAD users. The booths will be open throughout the event. 13:30 Head down to the first ever Bricsys User Group Session. Here users can come together and share their BricsCAD experiences, techniques and tips. For more information, read our blog post here. 14:30 It’s The Future of BIM. Yes BIM really is possible in .dwg and you already know 80% of what you need to use BIM for BricsCAD V19! We’re excited to offer a BIM solution that is so affordable to so many. For a sneak preview, click here. 15:30 Have a coffee break. Why not experience Virtual Reality or share your first day experiences on the wall with #Brics2018? 16:00 It’s The Future of the CDE. Don’t yet know what 24/7 is? Why not!? You’ll find out everything you need to know about using and converting to, our powerful Common Data Environment and Model Server. 9:00 Have breakfast on us. 10:00 For those of you making the transition from AutoCAD, we have Switching to BricsCAD, where we will be showing you just how simple it is to convert to BricsCAD. Or, if development is your thing, then head over to The Future of LISP. We will be introducing you to BLADE (BricsCAD LISP Advanced Development Environment). More details here. 10:45 We are hosting The Future of DWG. Want to know how BricsCAD V19 will shape the future of general design? Then this is a session not to be missed. 11:30 Another chance to explore our Demo Center. The Virtual Reality Experience will be open during all breaks today. 12:00 We present The Future of Mechanical. BricsCAD Mechanical V19: the next generation of Mechanical Design tools, all using the .dwg format. We now offer users an unprecedented number of functionalities, in one complete package. 13:00 Stop for lunch. A great opportunity to network with your fellow BricsCAD users. 14:00 There are two options. BricsCAD Mechanical Technology: a chance to get into the nitty gritty of what BricsCAD Mechanical is really capable of. Or BricsCAD BIM Technology. A session to show you how to make the most of the new and improved BricsCAD BIM. 15:00 A chance to refill your caffeine supplies before the last few sessions. 15:30 We present Building on top of BricsCAD BIM. Prepare for some surprises. 16:00 We close the Bricsys 2018 conference with Bricsys Future Technologies. What does the future hold for BricsCAD? 19:30 If you still have energy, it’s the after party. Get ready for The Bricsys Band, the best band in CAD! See the full timetable of events. Bricsys International Conference 2018 - The Countdown begins! At DesignSense, we are gearing to attend the Bricsys 2018 Conference, which is happening in London on the 23rd and 24th of October, 2018. We take this opportunity to call out loud to all BricsCAD users and prospects in India to consider visiting what is presumably going to be one of the best Bricsys conferences ever. 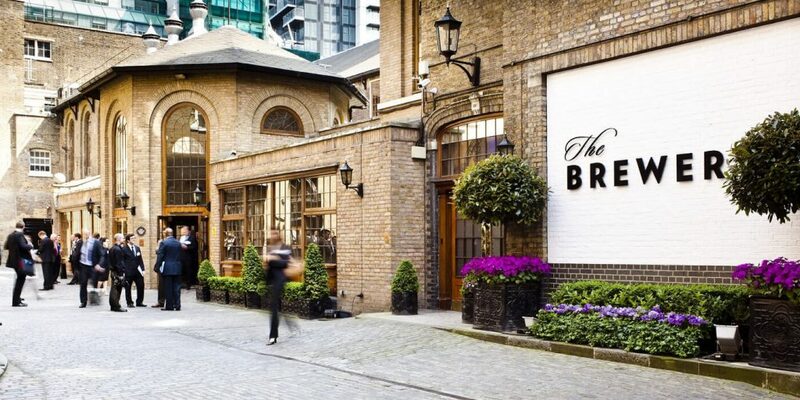 The location for this conference is the iconic The Brewery in the Shoreditch area of Central London. BRICSYS 2018 promises to be the best show ever. Yesterday, we received an internal email with a list of some of the key, new features of BricsCAD V19 and it is mind-blowing. I wish I could talk about it here that here but it is confidential and still under wraps - until the conference. But here is a feeler : this platform is seriously thinking out of the CAD box and building bridges to all the hot and new emerging technologies in the design world. The venue could not be better! It is at The Brewery in the Shoreditch area. Do you want to be a Speaker @ Bricsys 2018? If you have not yet made up your mind, now is the time! - to either buy BricsCAD and/or to plan attending the conference. Believe me, you are not gong to regret either decision. The last month prior to the release of a new version of BricsCAD is particularly a sweet spot of time to buy, because you get to buy now at a price that is ex-yearly revision. After V19, we expect the retail price of BricsCAD to go up about 10% or more, in line with the value that the new version provides. Come October 2018 and the V19 is going to be announced and shown at the conference. Soon after, from the first week of November, V19 starts shipping, and with it, comes a new price-list. We don't want to hazard a guess but I can confidently say that this is the best time for you to order your BricsCAD and receive a copy of the V19 product as well. “BricsCAD Unplugged” is a series of live web-casts (via facebook live) from the core marketing team of Bricsys NV. 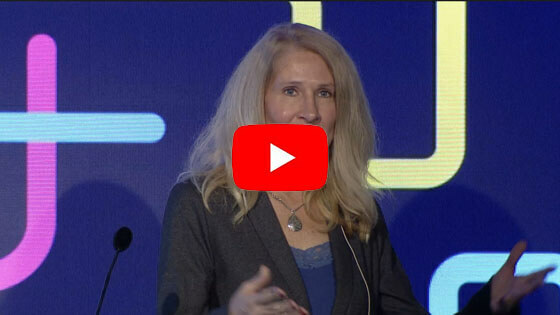 In this special edition of BricsCAD Unplugged, watch and listen to an awesome combination of the Bricsys marketing quartet - Heidi Hewett, Don Strimbu, Matt Olding and Vince Aman talk to two very special guests, Robert Green and the one and only Lynn Allen. "It is a small enough event where you can run shoulders with everyone. 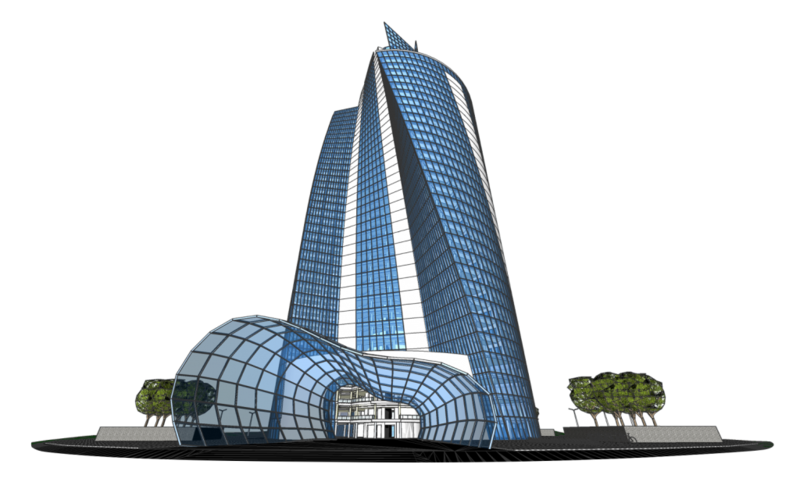 The CEO is there and very available, and as are all the people who developed BricsCAD on the ground" said Robert Green. "Even if you are not in the DWD CAD world, come just for the music and the awesome BricsCAD band" says Don Strimbu. Next up, in conversation with Lynn Allen, the Bricsys team is seen wooing her to attend the conference in London. We still have a month to get Lynn Allen to agree and join us at the conference. Lynn is clearly most interested to know about the BIM side of Bricsys and Vince explains all that we saw at the last Bricsys conference in Paris. BIMify and BIMClassisfy and BIMSuggest - some of the most innovative tools in BricsCAD BIM. Matt is quick to remind Lynn that BricsCAD is not just about BIM and 2d drafting. "BricsCAD is a full-fledged design tool for the manufacturing and Sheet Metal industry as well", says he. "You know 80% of BricsCAD BIM if you know AutoCAD", said Don. Working on a familiar paradigm, this is one BIM that is the easiest to learn. 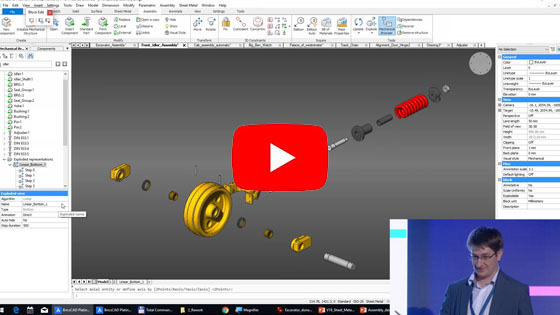 The goal of these Un-Plugged videos is to bring to you the inside thinking, views and thought process brewing inside Bricsys and what better way that to listen and watch an animated conversation between some of the best names in the CAD world. The Un-Plugged feed is available on twitter, facebook and youtube channels. The first one was earlier this month and it happens every week. Great going and good luck guys!! Good luck Bricsys!! This is the fifth edition of the Unplugged series and the feed is available on twitter, facebook and youtube channels. The first one was earlier this month and it happens every week. In this post, I have BLOGified this web-cast for the benefit of those would also like to (also) read what can be listened to on youtube (see below). This episode of “BricsCAD® Unplugged” was anchored by Matt Olding, Head of Learning Resources and assisted by Don Strimbu, VP of Communications and User Success Manager, Heidi Hewett. As we start off, there is a clarion call to everyone to attend the Bricsys 2018 User Conference in London which is happening on October 23 and 24, 2018 at The Brewery in Central London. BIC 2018 promises to be the most glitzy and ground breaking Bricsys conference, both in terms of technically innovative content and the fun time it promises.If you have not yet registered for the conference, now is the time to register and buy the tickets here. The live session kicks off with Don Strimbu introducing some of the key employees of Bricsys - Heidi Hewett and Sander Scheiris, Head of Marketing, who are here to tell us that "everything is ready" and what to expect at BIC 2018. Sander also reveals a new format during this conference called the user sessions where invited BricsAD users will be able to share their experiences and shre their sweet spots with other users and the press. Steve Johnson of CAD nauseum has been entrusted with the job of interviewing key BricsCAD users and capturing some their interesting stories and fact bytes that are bot h inspirational as well as informative. This user interaction would be on Day 1 (23rd October) during the lunch break (13:30 hrs-14:30 hrs). If you have a great story to tell or an interesting fact byte to share, do let us know. Apply here and be part of BIC 2018 as a contributor. Do you want to speak about BricsCAD at the conference? Tell us your story. Click here!! And, while in London for the conference, Sanders reminds us to take a day or two out from our schedule and go around London. He has his official recommendation in his blog here. Read what Sander did in London in 48 hours. Next Matt opens up a discussion on the very name BRICS-CAD, and how did this BRICS come to be. We are now joined by CEWO Erik de Keyser who is also part of this Un-plugged session and steps in to tell us more. A short interesting story as he said the inspiration for the name started with a Swedish friend's company called TRICC (the really incredible computer company). Setting to think about a name, BRIC sounded close and soon enough he invented Building Related Interactive Computer Systems), as a short for BRICS. Interesting! I must admit that I did not know this either. In response to a question about the founding of Bricssys, Erik then goes on to give s short backgound and history about the founders - how they started off with doing some development for Microstation in the early 90's, and built the well-known TriForma product, sold it off and grew further. The company also entered the stock markets at that time and went public, but then came the infamous dot-com bust in 2000 and the team was again back to zero. They re-booted in 2002 and formed BRICSNET which eventually became Bricsys a few years later, and the rest is history. With 178 people on board now, the company is growing at a rapid pace but the headcount is phenomenally lower than its major competitors who employ much more people. Erik is quick to add here that the key differentiator for Bricsys is the quality and motivational levels of its staff. Each one fits into the Bricsys DNA perfectly. "We ensure that during the selection process. We don't stress people, stressed Erik" in response to a question about what makes the Bricsys DNA tick. 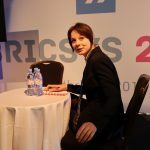 After Erik, it was Tjerk Gauderis, Head of R&D and Artifical Intelligence at Bricsys. 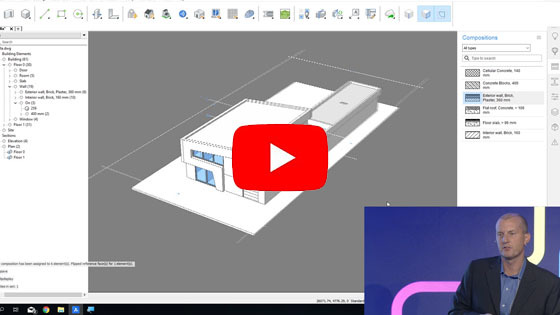 He revealed a teaser that some cool new features have been created in BricsCAD V19 and this will be shown during the conference, but for now, we need to wait to see more. From who this statement comes from, it obvious that the new features have something to so with AI and machine learning and not the regular new feature update of a CAD product in its next version. 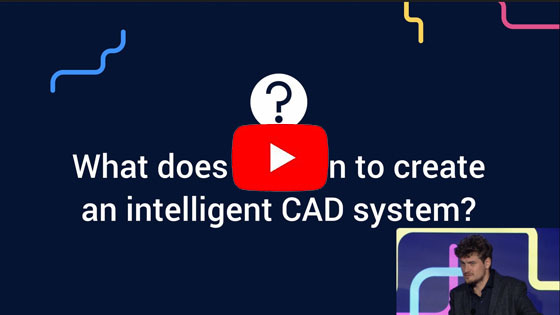 "Tjerk is a guy who thinks out of the box, having come from a non-CAD background, and firmly believes that AI can be trained to do better things for CAD, and that is what he is delivering on BricsCAD V19", said Don Strimbu. Yet another reason why we should come to London next month. The next one to speak was Luc de Batselier, CTO of Bricsys who explained the advances made by the Bricsys development team and one of the highlights was the fact that a software like CADWorx now works within BricsCAD, and this is no mean feat. The CADworx code-base is larger than the core BricsCAD code-base and the integration was smooth, not just for CADWorkx but also for GTStrudl and other software from Hexagon. Extra API functions for BIM will be avaialable in BricsCAD V19, said Luc. Finally, Don Strimbu emphatically sends out this loud and clear message "If you have not yet downloaded and tried BricsCAD, what the heck are you doing out there?" In the second edition of “BricsCAD® Unplugged”, we have Matt Olding, Head of Learning @ Bricsys, Vince Aman, who works with Bricsys sales team in the US, and Heidi Hewett, User Success Manager @ Bricsys. Matt Olding starts off by telling the 3 modules of BricsCAD - Classic, Pro and Platinum. Different requirements, different budgets, different variants of BricsCAD. Vince Aman, who works with the Sales team in the United States, is also an ace Lisp programmer and brings in development and CAD consulting experience (he was a CAD manager earlier, he says) to bring value to the BricsCAD users in the United States. As a Lisp programmer and having worked with companies using Lisp in varying degrees, Vince says the support for Lisp in BricsCAD Classic makes it a couple if notches higher than the AutoCAD LT product. And finally, Heidi takes us through the comparison chart that details the differences between Classic, Pro and Platinum and shows us how to install trial and change the levels within. Finally, before we end, here is what she sums up "Don't just download BricsCAD. Use the trial and experience the product". This line pretty neatly sums what we see often here as well. People download the trial and sit tight for the next 29 days and then, one fine day, when you want to try it out, the trial has expired. Don't lose the momentum. Do the trial immediately after you download it! After all, you don't need more than a day to convince yourself this is as compatible and much better than the other CAD systems you have used. 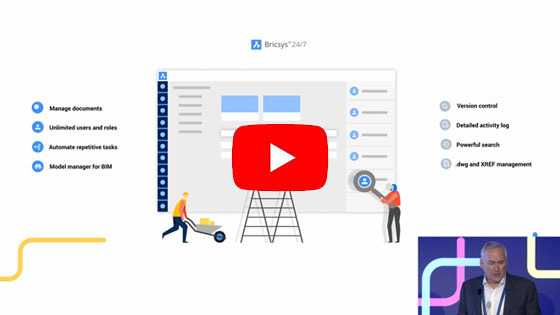 “BricsCAD® Unplugged” is a series of live broadcasts launched by Bricsys and managed by the core marketing team of Bricsys. The boradcasts happen live on the BricsCAD facebook page and is available on the twitter, youtube and facebook pages at any time for you to watch. But, wait! Not everyone wants to just watch. Many of our users wanted a small descriptive narration to go along with each of these posts and so, here we are writing a few lines on each one of these broadcast posts. This is the first post to go. In this first post, we get to listen to the three main Bricsys anchors of this show - Don Strimbu, VP of Communications, Heidi Hewett, User Success Manager and Matt Olding, Head of Learning and Training Resources, who are very senior CAD professionals and de-mystify and unravel the magic of BricsCAD. Don Strimbu starts off by telling us about the basic value proposition of BricsCAD and why it is better than the other CAD systems. In the .dwg CAD world which is littered with software from names starting with A to Z, what is it in the DNA that make BricsCAD stands tall and apart from the rest? A couple of simple slides tell us why BricsCAD is better than all the other CADs put together. Next up, we get introduced to Heidi Hewett, who needs no introduction to the folks coming from the Autodesk world. Five months into BricsCAD @ Bricsys, Heidi Hewett has been bowled over. Sitting on the other side of the fence, she confesses did not know what Bricsys was brewing. And finally, Matt Olding is the ever energetic Learning and Training Specialist at Bricsys, who is going to bring about a major change in the way BricsCAD talks to its users. Matt's brief is to make BricsCAD documentation rock. As Head of Training & Learning department, Matt Olding is churning out learning resources, videos and tutorials at a scorching pace and this is significantly fast-tracking the learning of BricsCAD by users. Do you want to see some of his output? The Lessons and the Help section of the Bricsys web-site has been completely reworked and this is just the beginning. The feature focus cycle has turned a full circle at Bricsys. The passion, zest, direction and pace with which the development team drove the BricsCAD engine from 2007 to 2018 is now being adapted by these three guys to take the brand further - this time in brand building and learning-training resources.